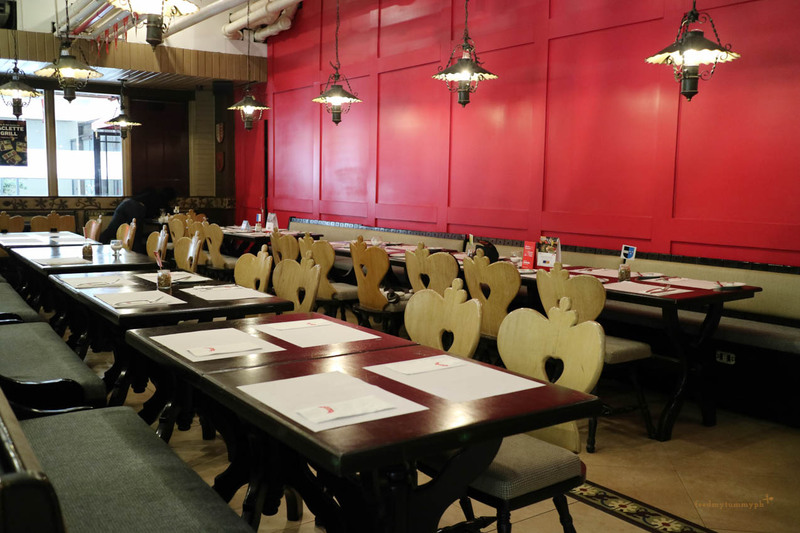 Swiss national Emil Landent founded Old Swiss Inn Restaurant in 1946. Known for its authentic Swiss and European cuisine, it has been a favorite attraction for comfort food from a recipe handed down seventy years ago. 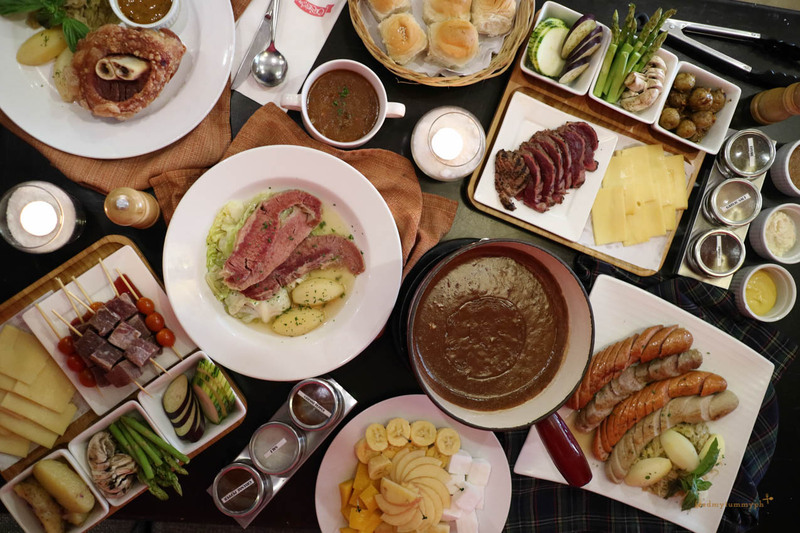 A popular fixture in Manila, its signature dishes combine different influences from France, Germany and Northern Italy. I have visited this branch during my high school days with my family and some of their friends. Sadly, I barely remember my experience since it has been more than a decade and I was excited to rediscover what they have to offer. I arrived early and parked on the street, it was a bit pricey Php 110 for 3 hours and I had to leave on or before my 3rd hour. Then I found out there's parking available for Old Swiss Inn customers but it's pretty limited call ahead and ask if they do. 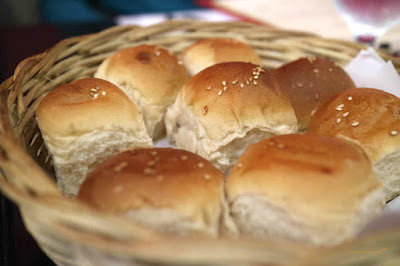 Freshly baked rolls. Plus points on that! 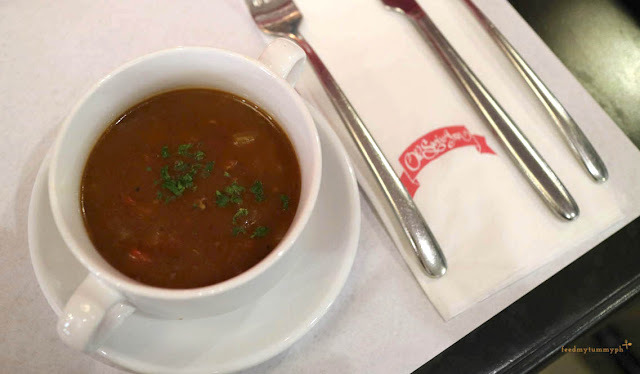 We started off with Goulash, a peppery soup with beef and vegetables. You can taste the intensity of the heat which I found comforting. I could imagine eating it during rainy days. Gnagi, a baked or boiled cured pork knuckles with sauerkraut and boiled potatoes. 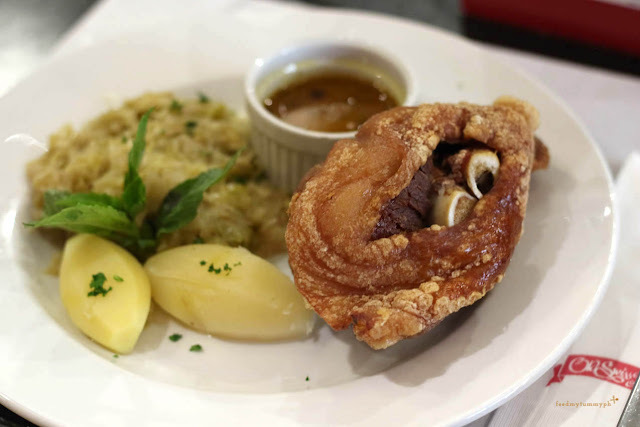 Crispy pork knuckles with light seasoning that makes you appreciate combining sauerkraut with every bite. One of the dishes I liked. 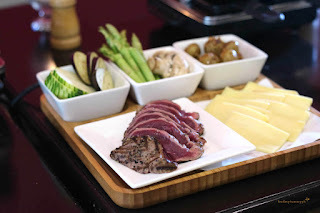 Not your ordinary canned corned beef. 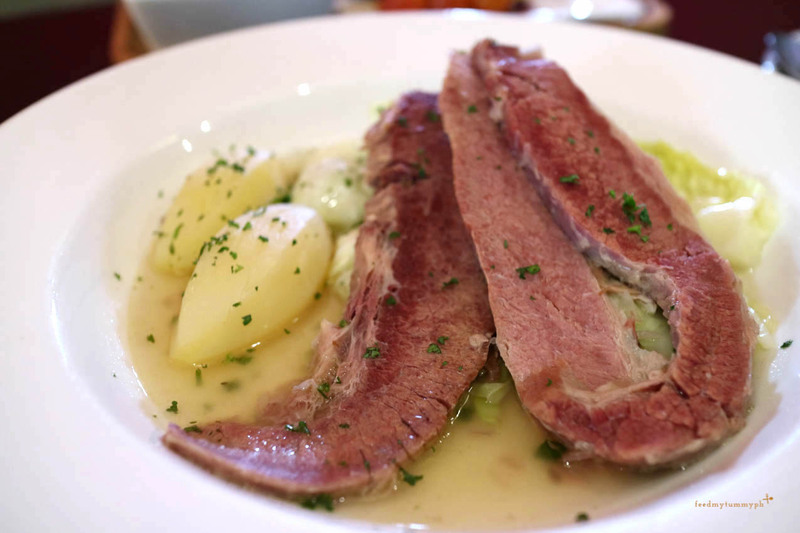 Old Swiss Inn's Fresh Corned Beef came with sautéed cabbage and baked potatoes. Two thick slices of perfectly lean corned beef stewed in broth. Sausage Platter comes with Veal, Hungarian, schublig and pork sausages. 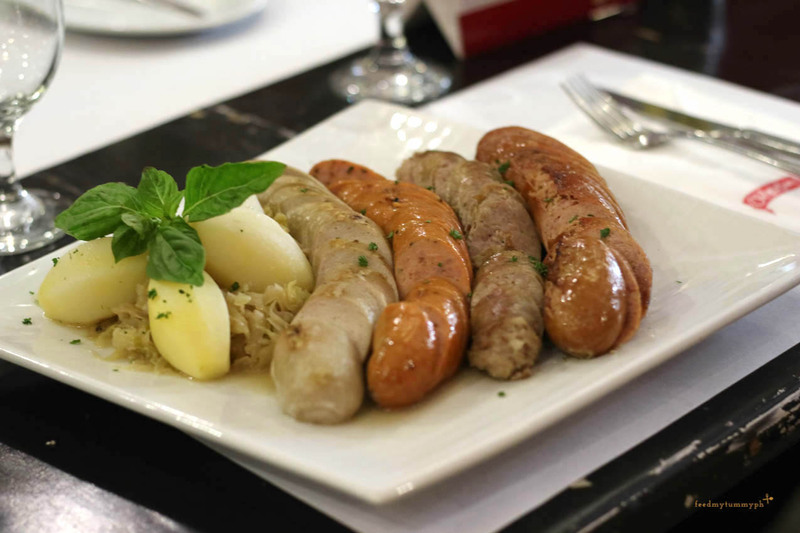 I really enjoyed munching on this most especially their Hungarian and Schublig. Packed and meaty, works well with a pint of beer. 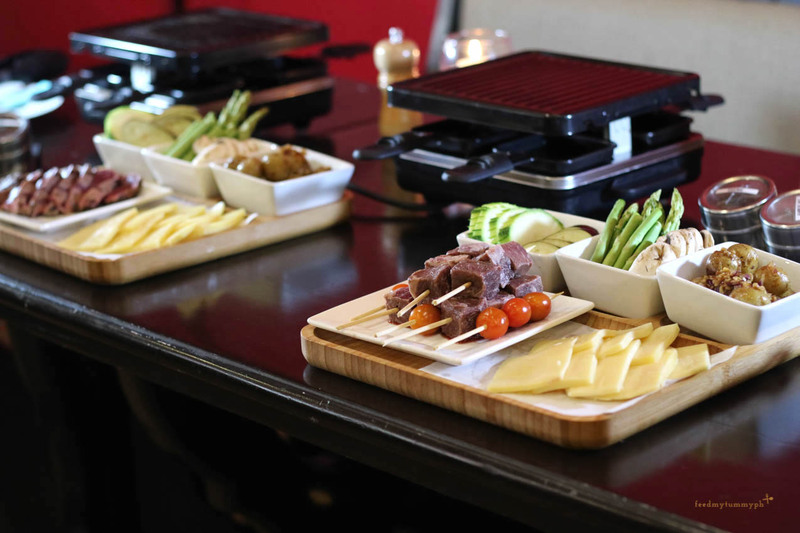 New dish to try this year is the Raclette Grill. 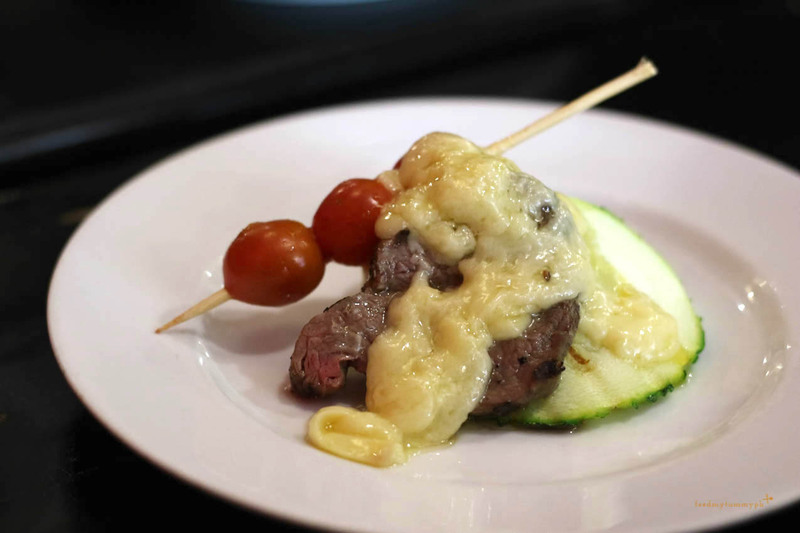 You get to grill you own meat and vegetables then topped it with melted Raclette cheese. Getting those grill marks on our meat. Each set comes with slices of raclette, vegetables and additional meats that depends on what you ordered. 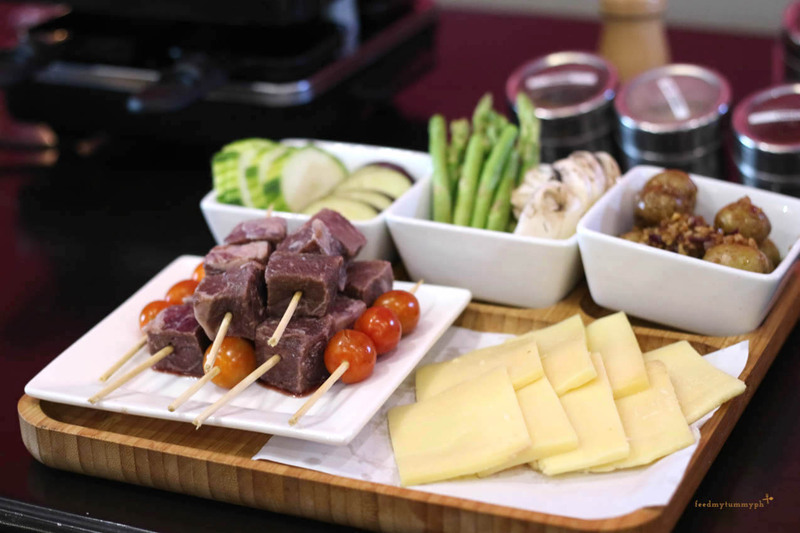 You'll get to grill your own meat and veggies then topped it with cheese. It was an interesting setup since most raclette they'll serve the melted cheese on top of the dish. 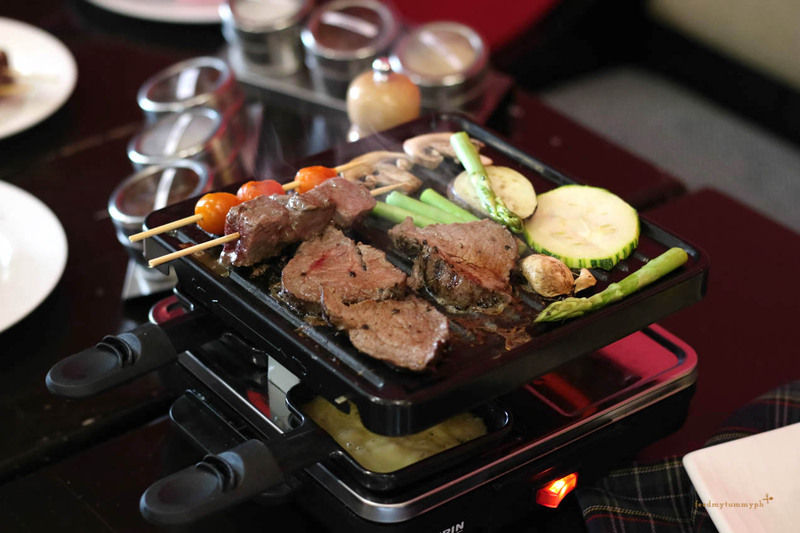 It can certainly make any meal an engaging activity to do while dining in. Oh, grab their 50% off on raclettes using your BPI credit cards until November 15. A meal wouldn't be complete without desserts. 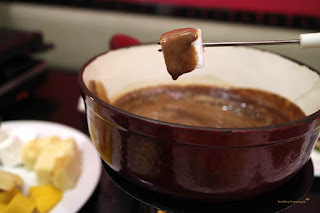 You should try their Chocolate Fondue which they using Toblerone Chocolate and pure cream with choice of milk, dark or white Toblerone Chocolate. I could eat the melted sauce like soup. Creamy and milky you could finish the entire thing till the last drop. With two branches in Makati and Manila you'll get function rooms for events up to 100 people, free wifi access, convenient parking, catering and commissary, it remains as a popular dining scene among locals and expatriates. I would definitely come back with my friends or family. Since I wanted them to try their raclette and goulash. I truly enjoyed their dishes and I'm they would also like it too. Old Swiss Inn wouldn't last 77 years if they didn't have remarkable dishes that in turned became their patrons' comfort food. You can visit their two branches that I included below for you. Kinderfest every weekend in Makati. Special kiddie menu available for the kiddos every Friday, Saturday, and Sunday, kids under 4ft eat for free. They get one dish from the kiddie menu for free as long as they are EACH with an adult that orders from the ala carte menu. Currently ongoing and available in their Makati branch. 15% off baptismal or kiddie party. Ongoing Promo until October 31, 2018 and is available at both branches (Paco and Makati). 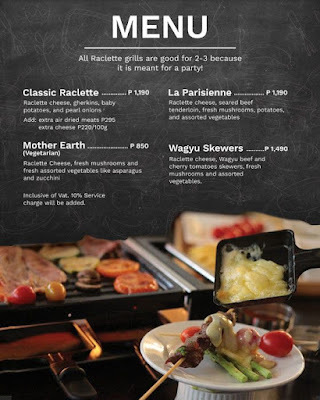 For BPI credit card holders, they'll get the raclette and fondues half off. Not valid with other ongoing promos. Promo available until November 15, 2018 in both branches (Paco and Makati). Promo from October 1, 2018 to October 31, 2018 and is available in both branches. Only for pre-order. The highlight will be a fashion show with prizes going to the best-dressed pet. Aside from this there will be games, talks and short seminars on pet care, and a raffle with door prizes. 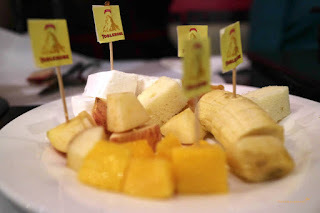 Of course light snacks will be served care of Old Swiss Inn to the humans so everyone gets to enjoy. It will be held in Somerset Olympia, Makati on October 20, 2018. Entrance fee is Php 350.